The prophet Amos is establishing his right to prophesy about the coming judgment on the northern Kingdom of Israel. Amos does this by a series of little parables or comparisons. He illustrates the truth that ‘all effects have causes,’ and from the cause, you can infer the effect. The “two” that walk together are God’s judgment and the prophet’s word. The prophet announces God’s judgment because God has commissioned him; the prophet is of one mind with God. Therefore, the Lord is with him, and confirms his words. The Hebrew word used here (yaad – 3259 Strong’s Exhaustive Concordance) signifies that the prophet speaks not of himself, but as God guides and moves him, which is called the agreement between God and his Prophets. 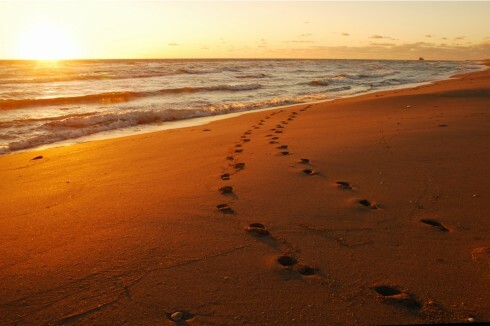 To “walk together” with someone here means to agree with his or her destination and route. Implicitly, the prophet “walks” with the Lord. Let us look at two applications of this verse. It is impossible to have fellowship with God if we refuse to follow His word. Without agreeing to meet there is no fellowship with each other. Firstly, the expression “walking together” is often used in scripture as a figure of speech for communion or fellowship. An example of this is, “Enoch walked with God.” Notice here, this is an ‘action’, meaning ‘walking’ is an active exercise. When one walks with another, it is communion with each other. It gives us a true picture of walking with Christ. Throughout his journey, Enoch has God for his companion, and lived in continuous fellowship with his maker. There is a sense of continuance. True relationship with Christ not something that is temporary but is a continual work of the Holy Spirit. This walking is a sign of progress. When you walk, you are lifting your feet and not placing it in the exact same spot, rather you put one step in front of the other. You progress toward your destination with every step. You become more Christ like with every step forward. Seek to move forward and walk with Christ. To progress in this walk you must be more child-like in faith, more instructed in knowledge (which is the word of God – the Bible), more diligent in service, and seek more zeal and fervency. If you stand still you lose the presence of the Master because it is only by following on with the Lord that we continue to walk with Him. Walking with God is probably the best expression for fellowship with God. That is why the scripture in Amos 3:3 implies that two cannot walk together except they be agreed. Therefore, it teaches us that unless we be agreed with Christ, we cannot attain the sweet state of communion with Him. Fellowship with Christ is a high privilege and no man can attain to it without the call of Christ upon his life and unless you accept Christ as Lord and Saviour. You must be cleansed and renewed by the sacrifice of Christ and the power of the Holy Spirit, or else you will not have wings to mount to the high places where Christ shows His love to His people. Unless the same Spirit that dwells in Christ, dwells in you, your agreement can never rise to such a height as to admit any depth of nearness of union. Secondly, without friendship and ‘agreeing to meet’ there is no fellowship with one another. Friendship does not always mean that you must agree on everything. If you only walked with people you agree with, even the ungodly do that. When you read the gospels, it is very clear how Jesus treated sinners. When you read the letters from the Apostles you are instructed on how to treat each other. The New American Standard Bible reads Amos 3:3 this way, “Do two men walk together unless they have made an appointment?’. The agreement is to meet and walk together. The agreement or appointment precedes the walking together as the ‘cause’ precedes the ‘effect.’ You might make an agreement to meet and walk together to discuss differences. Some scriptures below show us how we are to behave to one another, within the body of Christ and to outsider; In order to bring them to the knowledge of our Lord and Saviour Jesus Christ. In conclusion, I urge you to first and foremost have fellowship with Jesus Christ. Let it not be a religious act of only spending a ‘set-aside’ during the day. Although this is good, fellowship and relationship means a constant walk throughout the day. You can do this by reading the word of God, meditating on His word during the day, having fellowship with the Holy Spirit throughout the day and making God a part of every aspect of your life. Walk in a manner that agrees to God’s word and be a shining light of Christ to the world.